Reuben Gold Thwaites (1853-1913) was a librarian, historian and editor. He attended public schools, and, after moving to Oshkosh in 1866, put himself through a "college course" while teaching school and working on local farms. He worked for a time on various newspapers in the Oshkosh area, and in 1874 enrolled in Yale University as a graduate student in history and economics. 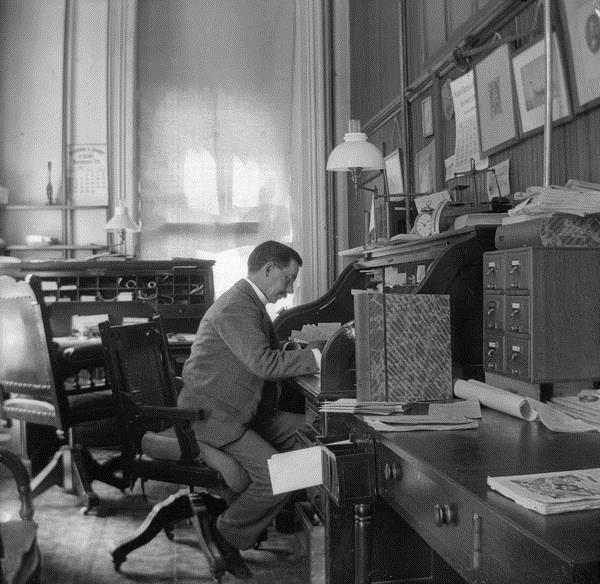 Returning to Wisconsin two years later, Thwaites settled in Madison, where he served for a time as managing editor of the Wisconsin State Journal. In 1885 he became assistant to Lyman C. Draper (q.v. ), corresponding secretary of the State Historical Society of Wisconsin, and when Draper retired in Jan., 1887, Thwaites succeeded him as executive officer of the Society; he served in this capacity from 1887 until his death. His energy in historical undertakings, and his ability as an administrator made the Society one of the leading organizations of its kind in the country, and made Thwaites "the best known non-political man in Wisconsin." Thwaites' own scholarly reputation rested primarily upon his skill as an editor of historical documents. Among the more important projects completed by Thwaites and his corps of assistants during his years with the Society were The Jesuit Relations and Allied Documents (73 vols. ), Lewis and Clark Journals (8 vols. ), Early Western Travels (32 vols. ), and Collections of the State Historical Society (vols. 11-20). Thwaites developed excellent relations with the Univ. of Wisconsin, and in 1900, largely through his efforts, the libraries of the two institutions were housed in a new building on the university campus. A frequent lecturer on American history at the Univ. of Wisconsin, he was honored with an LL.D. in 1904. Thwaites was president of the American Library Association (1900) and of the Mississippi Valley Historical Association (1911). Learn more about Reuben Gold Thwaites. Search the Reuben Gold Thwaites Papers for manuscripts related to this essay. 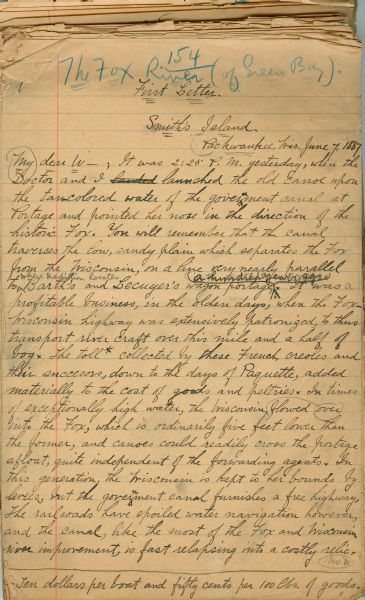 Browse the Rueben Gold Thwaites Papers on the Lewis and Clark Journals. Dict. Amer. Biog. ; F. J. Turner, R. G. Thwaites (Madison, 1914); Proc. Miss. Valley Hist. 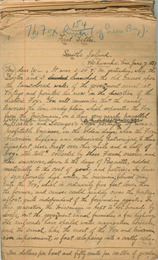 Assoc., 7 (1914); R. G. Thwaites Papers.